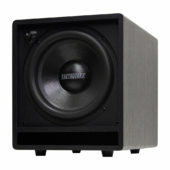 Earthquake’s FF subwoofer system was designed to offer consumer budget and volume optimized subwoofer system solutions. 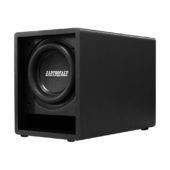 With their small footprint, wide variety of applications and incredible output, these subwoofers feature a 400-Watt Class “A/B” amplifier, auto signal sensing, low and high level inputs and outputs, 0 – 180° phase shift as well as 0 – 40Hz crossover. Earthquake’s FF12 subwoofer system was originally designed to offer consumers with budget and volume optimized subwoofer system solutions. Now on its second generation, the FF12 subwoofers still score high marks with custom home installers as they work fantastically in front firing applications. Earthquake’s FF subwoofer system was designed to offer consumers budget and volume optimized subwoofer system solutions. With built-in 150-Watt Class “A/B” high effiency power amplifier, auto signal sensing, 0 – 180° phase shift and 40 – 180Hz crossover, the FF6.5 is your go to sub when both budget and space are limited.